At Woodland, we are dedicated to seeking God with all of our hearts, growing as His people, and serving others. Discover more about Woodland by browsing this site, signing up for our e-newsletter, or going to our Facebook page. Our current sermon series is a journey through the Gospel of Mark which will lead up to Easter. We encourage you to read along with us (about a chapter each week) as we follow the footsteps of Jesus all the way to the cross. You can listen to previous week's sermons by following this link. 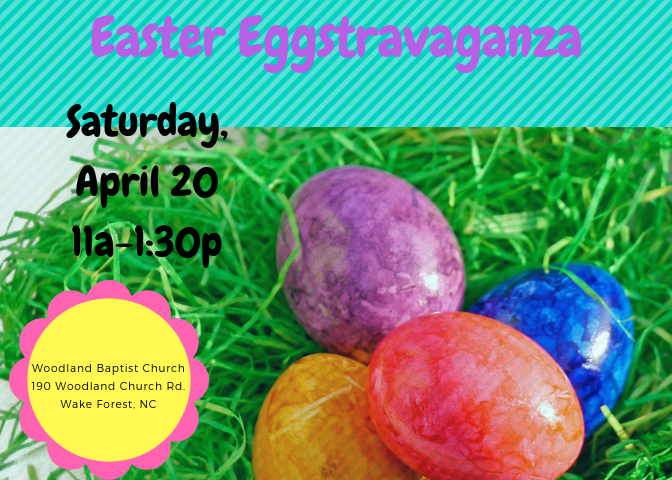 Join us for inflatables, hot dogs, face painting and egg hunts.